Now you have decided to become a competitive ski racer here is our thoughts on a Pathway to Podium. We have three main categories in the Team ATC pathway, 'Development', Performance' and 'Elite'. This is a rough guide and the information is designed to help you make informed decisions, it is not a set of rules and we do not require anyone to strictly adhere to this advice. 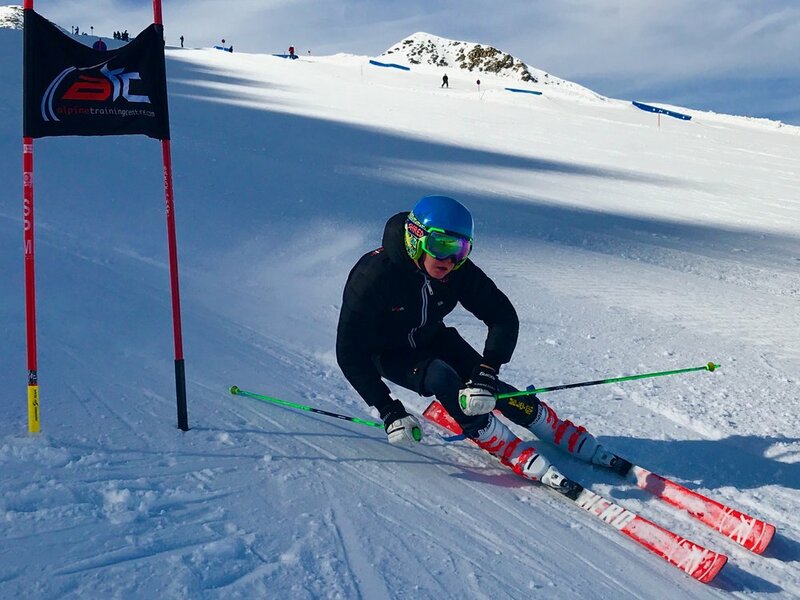 We offer a variety of different training and racing opportunities for developing young racers starting out on the ski racing journey. The ATC pathway starts at 10 years old for young skiers who can carve turns on a blue run. In the UK we offer camps at Cairngorm during the winter holidays and also regular indoor training at Braehead (Glasgow) every Tuesday nights. Braehead is a great way to get introduced to ski racing or keep up with your training in between ATC camps. ATC also work with Scottish Ski Club to offer a high quality coaching set up during our winter weekends from Jan to March. Team ATC is by application and is for committed young athletes who are training and racing abroad. We offer Team ATC athletes a national standard training programme with quality low ratio coaching. We also offer Team ATC athletes free fitness weekends, free training at Braehead and a discounted ATC Colmar clothing package. Team ATC is for committed young athletes who are training and racing abroad. There is a minimum requirement of committing to do five training weeks during the winter months. If you are unsure about what camps to do PLEASE CALL US to talk through your child's programme. Ask your coaches advice FIRST as they are the professionals! Team ATC U16 and FIS athletes who are still at school can take advantage of the ATC base and racing academy in Steinach near Innsbruck Austria. This offers another level of individualised coaching in our world class training facility. We also run a full time programme for junior international racers (FIS). Together the ATC performance programme aims to fill the training and racing pathway from junior racing to National Team. We recommend prioritising as many academy weeks as possible for our performance racers. The Academy is set up to offer training to athletes at U16 and FIS age categories. From ski holidays with the family to the National Ski Team, the phases of development and maturity that an athlete goes through are critical to their success and enjoyment of snow sports. Long Term Athlete Development Planning (LTAD) aims to map out the important stages that an athlete should follow, while at the same time offering direction and understanding to the coaches, athletes and the athlete’s parents. In essence, the plan is a set of goals, instilled values, and a culture that we believe is important in training all athletes within our organizations.